View the selection of Cafe Franchises for Sale New Zealand on nzbizbuysell and find a cafe franchise for sale that interests you. List your Franchise Cafes for sale with nzbizbuysell, and use the internets marketing power. nzbizbuysell is where you find Franchised Cafes for Sale in New Zealand. 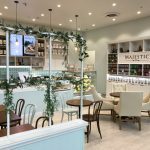 Majestic – Premium Cafe Franchise for Sale Hamilton. Joining a family orientated culture where you can enjoy a degree of flexibility while receiving a high level of support is just one of many reasons why Majestic is the ideal choice to invest in.